The Senate Finance Committee looked at ways to reduce student borrowing through the tax code. One possibility: boosting prepaid 529 plans. The Senate Finance Committee on Tuesday discussed ways to use the tax code to help reduce the nation’s $1.2 billion student debt burden. According to a Tax Policy Center study, the share of households with student loans rose from 9% in 1989 to 19% by 2010, and inflation-adjusted median student debt rose by more than 50%. 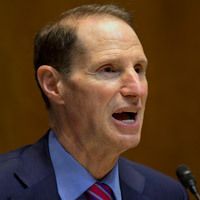 Senate Finance Committee Chairman Ron Wyden, D-Ore., said the committee needed to simpify tax incentives to three credits or deductions that are user-friendly. This more streamlined approach would be based on a few key goals: saving, covering current costs and easing the burden of loans. Current education tax incentives can generally be classified into one of three categories: tax incentives for current expenditures on higher education, like the Hope, American Opportunity and Lifetime Learning Credits; tax incentives for student loans, including the deduction for student loan interest; and tax incentives for saving for college, which includes qualified tuition plans, usually referred to as 529 plans. Among the potential solutions discussed, there was an emphasis on 529 plans. During witness testimony, Tax Foundation President Scott Hodge suggested prepaid 529 plans as a way to make colleges more affordable, noting that they “force colleges to control future costs” by allowing parents, grandparents or students to lock in college costs through prepayment arrangements. When Wyden asked Hodge to give his best idea that would get bipartisan support, Hodge answered with his support for prepaid 529 plans. “They force discipline on universities years in advance,” Hodge said. While recently Congress has put a big focus on how to make students’ huge debt bills manageable (like with its student loan refinancing bill that did not pass the Senate), the hearing — titled “Less Student Debt from the Start: What Role Should the Tax System Play?” — focused on policies that would prevent over-indebtedness.